We’ve said it once, we’ve said it twice and we’ll say it for years to come. Tata Safari is the SUV which is not just a car, it’s a cult. Tata Safari has been the car that first put the home grown car maker Tata on the SUV scenario and it has managed to stay there well for quite a lot of years. The Safari got a major overhaul in the form of it being revamped as the Safari Storme and well, the Safari Storme sure seems to be picking up well. Tata has managed to put 3,000 Storme’s on the Indian roads with the northern part of the country developing a special liking for the car. The car has been a success in its own way and to reduce the waiting periods, Tata decided to go the phased launch way. The Safari Storme will be launched all over the country by the end of January and the car seems to be well on route on topping the sales records. The Safari is positioned to compete with the Mahindra XUV500 and the brute force which it brings along somehow makes the XUV500 tremble. 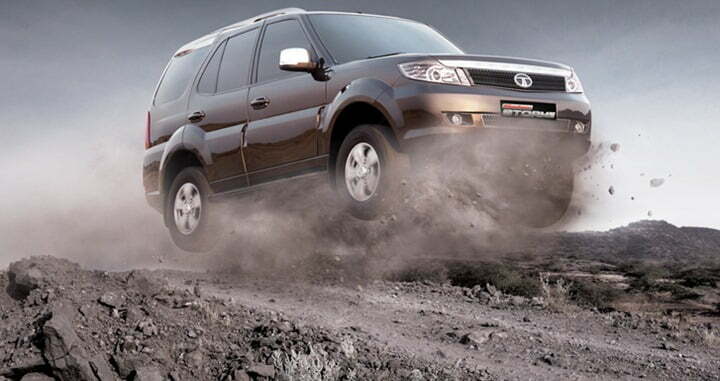 The Safari Storme will get an automatic and a 160 BHP variant in 2013 which shall further up the ante in the SUV segment. Tata also claims to have an order another 2,000 Stormes which it shall soon put on the roads. Currently you can get a Safari Storme after a period of 4-6 weeks of booking one. It comes with a body-on-ladder frame which has is the same one as you find in the most technically sound Tata product, the Tata Aria crossover. The heart of the SUV is a four cylinder, 2.2 Liter Vari-COR turbo diesel engine belting out a raw power of 140 BHP with the torque figure being 320 Nm. The Safari Storme has seen a major overhaul from the Safari but with the upcoming variants and a pan India reach, the only thing that is going to increase is the number of followers of the cult named Tata Safari.